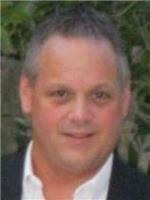 Clifton Jerry "Jay" Smith Jr.
"I am so saddened to hear about Jay's passing. He handled my..."
"Debbie and Stephanie, We just heard about Jay's passing and..."
"Dear Debbie and Stephanie, I am so sorry to hear about Jay...."
"Jerry and I were 2d cousins. His grandmother Jennie was..."
"Debbie, Stephanie, and Kristian my love and prayers are..."
Clifton Jerry "Jay" Smith, Jr. passed away on the evening of Wednesday, September 12, 2018 at the age of 60. He passed away unexpectedly due to a blood clot at the Baton Rouge General Hospital. Jay died peacefully during prayer, surrounded by friends and family. Jay was always known for his humor and kindness. He was a longtime resident of Denham Springs, where he attended school and married the love of his life. He was a businessman, owning Smith Building Supply and Denham Springs Christian Academy. He was a Mason and a member of Healing Place Church. Jay is survived by his wife, Debbie; daughter, Stephanie; son-in-law, Michael Lawrence; grandson, Kristian; mother, Shirley; and in-laws, Osene Bass and David Smith. He was preceded in death by his father, Jerry; father-in-law, John Bass; grandfather, Clifton "Punk" Smith; and beloved dogs, Eli and Kippy. Visitation will be held at First Baptist Church, Denham Springs, on Saturday, September 15, 2018 from 9 a.m. until celebration of his life at 1 p.m., officiated by Rev. Keith McAllister and Russell Lavigne. In lieu of flowers, please make donations to the Denham Springs Animal Shelter or Livingston ASPCA. Please share your condolences at www.sealefuneral.com.